Design, engineering and manufacturing company Entekra has announced the creation of 100 jobs as it opens its new European headquarters in Monaghan town. The Co Monaghan and California-based company provides off-site framing for both residential and commercial construction. Founded in 2015, it has a specific focus on the US housing market. Entekra is led by Gerry McCaughey, who previously founded Century Homes before selling it to Kingspan in 2006. Gerry McCaughey said the opening of its new facility in Monaghan allows Entekra to grow and expand its staffing levels in Ireland to cater for the overwhelming demand being generated for its products in the US market. The company also said today it had recently started the construction of a brand new $30m purpose built manufacturing facility in Modesto in California. It said this will allow Entekra to produce 3,000 homes a year within two years. 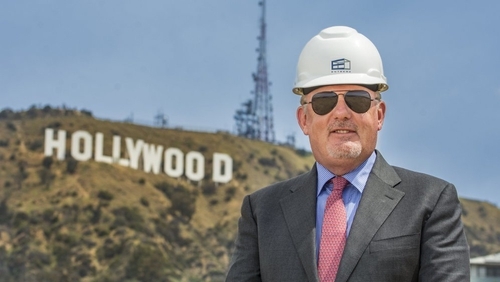 "Both facilities in US and Ireland will work hand and hand in delivering the best quality, fastest, most sustainable housing in the US construction market," Mr Caughey said. IDA Ireland's Martin Shanahan said the company's expansion will help to enhance the value proposition of Monaghan as a location as the agency markets the region to other potential investors. Minister for Business, Enterprise and Innovation, Heather Humphreys said the creation of 100 highly-skilled jobs in rural Ireland is a huge vote of confidence in the local workforce. "It is very encouraging for graduates, school leavers and job hunters to know that there are now more great opportunities to stay in Monaghan and get high-quality, well-paid jobs at exciting companies like Entekra," the Minister added.